Two incredible bands, one great event! 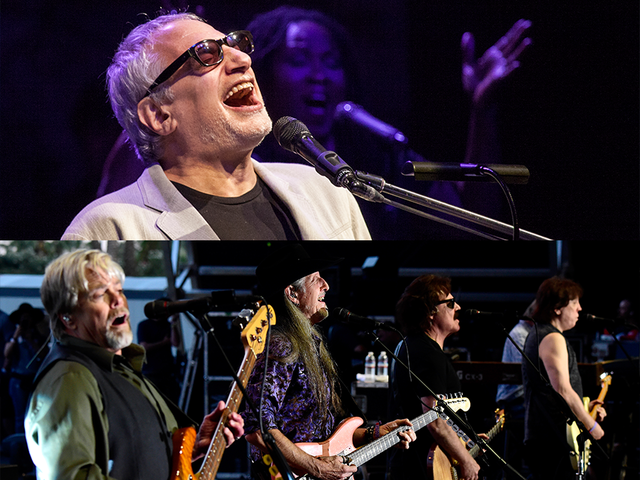 Steely Dan & The Doobie Brothers are back on tour and ready to create yet another night of magic in the air between the stage and the audience, when everyone knows they're in the presence of something truly special. The Forum is committed to making those moments happen, which is why Steely Dan & The Doobie Brothers is coming to The Forum on Wednesday 30th May 2018! Tickets are available now for this once-in-a-lifetime experience! Get yours today by clicking the Buy Ticket button above. Formed in 1972 by core members Donald Fagen and Walter Becker, Steely Dan’s legacy is almost unparalleled by any of their contemporaries. Described by Rolling Stone magazine as "the perfect musical antiheroes for the Seventies,” the band gained a reputation over time for their high level of technical musicality and blending of multiple genres including jazz, pop and rock. Their debut album, “Can’t Buy a Thrill”, saw two singles, "Do It Again" and "Reelin' In the Years" in the Billboard singles chart. Their following albums continued to build their fanbase, culminating in their most successful single, "Rikki Don't Lose That Number,” from the album “Pretzel Logic.” With all of this their fan base has remained strong, following them through their amazing tours and 2018 marks yet another incredible stance for people to come and get involved. Since the death of Walter Becker in September last year, this will be Steely Dan’s first major run of shows without him. Come and pay tribute also to the wonderful legacy that Walter has left behind… Experience it all for yourself on 30th May – get your tickets now, as previous tours of both Steely Dan and The Doobie Bothers have proven, they won't stick around for long!